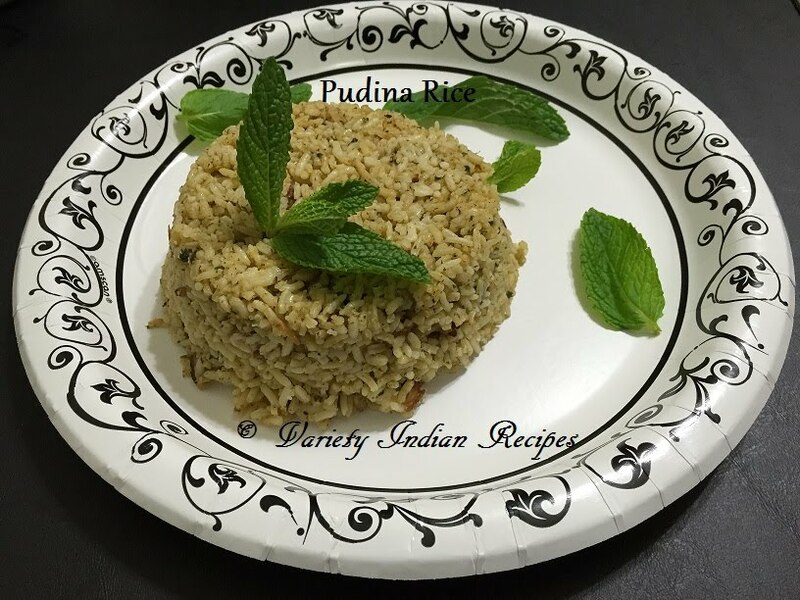 Pudina (Mint) rice is a flavorful refreshing one pot meal made from fresh mint. Grind the above ingredients to a smooth paste. Cook rice by adding salt and set aside. Once urad dhal turns slightly brown, add curry leaves. Now add the ground paste, turmeric powder and allow to boil. When the mixture starts boiling add salt and saute until oil oozes. Remove from heat, and serve hot.